The New Release of Breastfeeding with Comfort and Joy in eBook is a stunning expansion of the timeless 2008 limited print paperback edition and continues to teach pregnant and new moms how to breastfeed by showing it up close and unhidden at birth and beyond; and how to hold their babies in a way completely different than that of bottlefeeding. Images and videos reveal what happens when moms learn how to hold their babies to breastfeed in a way that is entirely different from holding their babies to bottlefeed. Moms and babies are comfortable and babies are satisfied at the breast. Moms and babies are seen responding to each other in the magical dance of breastfeeding that begins with babies’ early feeding cues; and progresses to the baby taking mom’s breast and feeding well. Moms choose many different positions to get comfortable breastfeeding their babies while sitting, lying down, and semi-reclining. Families have openly shared their efforts and their joy in this unabashed guide to breastfeeding that Inspires confidence with both "how-to" and evocative images and videos. Breastfeeding with Comfort and Joy is a visual guide for Mom, her family and friends who want to help her, and her practitioners. Its focus is on showing how to establish a comfortable breastfeeding relationship, prevent problems, and solve problems should they occur; and can offer solutions even in the middle of a crisis. NEW RELEASE in eBOOK and PRINT* is 336 total pages including over 170 full-page photographs and 9 selected videos. Concise text supplements and clarifies the image and video content. The videos are approximately 2-5 minutes each. There are seven museum images of breastfeeding photographs and paintings dating from the 1500s to early 1900s that reveal timeless instructive breastfeeding practices; including photographs of a mom hand expressing her breastmilk while still in the hospital dating back to the late 19th century; and an 18th century painting of a woman sitting upright to breastfeed her baby, placed in her lap, with positioning supportive of the breastfeeding baby. Her positioning is ideal for breastfeeding and not influenced by the bottle-feeding imprinting present day mothers often need to unlearn, in cultures where bottlefeeding is the primary feeding method seen in public and the media. 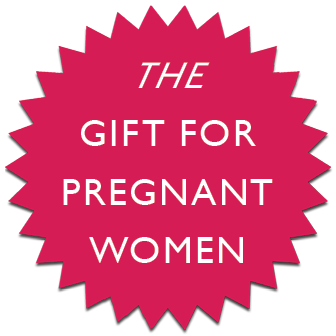 Endorsed by moms, physicians, nurses, IBCLC certified lactation consultants, doulas, midwives, celebrities, and others; Breastfeeding with Comfort and Joy has been a timeless resource for pregnant and new moms for over a decade and intended to be a treasured gift for generations. ©2015-2018 Laura Keegan–Breastfeeding with Comfort and Joy–Lifeforce Family Health Care. All rights reserved.